WinStar Farm announced today the promotion of Liam O’Rourke as its new Director of Stallion Sales, and the hiring of Chris Knehr to the Stallion Season Sales team. O’Rourke, originally from Toronto, Ontario, developed a keen interest in racing from an early age and began working at Woodbine racetrack while in high school. 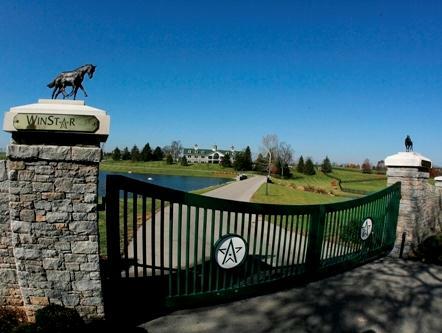 After completing the Irish National Stud Course in 2008, O’Rourke spent four years in season sales for Adena Springs and held the position of Stallion Services Manager at Millennium Farms prior to joining the WinStar Bloodstock Team in 2016. Knehr, originally from New Jersey, pursued his business degree at Virginia Tech. Upon graduation, he completed an internship at Overbook Farm during the breeding season. Knehr returned to Overbrook Farm following graduate school to pursue his passion in the Thoroughbred industry, working as the farm’s Assistant Stallion Manager. He transitioned into sales, working for several consignors, and gaining experience in sales prep, private/public sales, market analysis, and mating recommendations, which ultimately led in 2010 to his own consignment and bloodstock agency, Catalyst Bloodstock. Knehr is a supporter of the Thoroughbred Aftercare Alliance and the Retired Racehorse Project and he resides on a small farm in Midway, Ky., with his wife, Erin, and daughters.